If you are a teacher from a western state or one of the handful of eastern states who use Smarter Balanced (SBAC) assessments, you are likely in the throes of preparing for yearly testing. SBAC practice is on your mind and if so, you’ve come to the right place. The common core-inspired standardized tests can create a flurry of activity ranging from adjusted school schedules to last minute study sessions, not to mention all of the logistical issues. To help ready your students and minimize the anxiety of the testing season, try preparing your students with one of the online SBAC practice tests from our library. Use our SBAC practice tests to increase student comfort by simulating the online experience for students. You’ll also get to “pre-check” student mastery. Even though we are down to the wire, the immediate feedback can give you a last minute opportunity for quick intervention. Check out the list of SBAC style practice tests in this post and below you’ll find our top tips to help prepare for SBAC assessments. Technology-Enhanced Questions refer to the question types that often assess a higher order of analytical skills. To answer these, students need to know how to manipulate the mouse to perform a variety of tech-specific maneuvers. High-stakes assessments such as SBAC require them to do things like drag and drop, fill in boxes on a table, highlight, select and deselect, use drop down menus, activate a video, and even use online calculators. 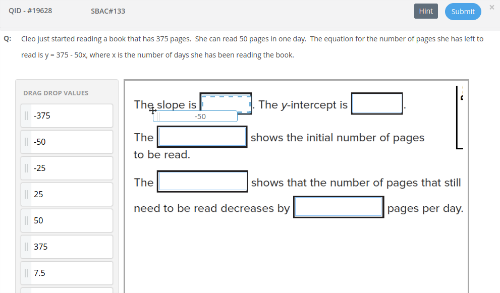 Here is an example of a Drag and Drop style question from one of the SBAC practice tests in our library. When students have an understanding of what is required to maneuver the correct answer into its proper place on the chart, they don’t waste a second on figuring out the question type and have an advantage on test day. These and other tech-enhanced questions in Edulastic will give your students the opportunity to practice taking the test on a platform that mimics the test. By the time the students get to the official SBAC assessment, they’ll be comfortable with the mechanics of the technology enhanced questions and can focus on the content. If students need a little extra practice focusing on digital assessment question types, consider giving them a fun, low-stakes assessment. All of the sections–ELA, Math, Social Studies and Science–require the students to type a response on the keyboard. The assessments use short answer and free form essay type questions which means students should be familiar with the keyboard’s letters, numbers, delete, space bar, scrolling, etc. For younger students, understanding the keyboard can be a challenge, so exposure to typing time in class will give them the extra advantage at testing time. Here is a passage-based question from another SBAC practice test in the library. This free form answer actually requires the student to use the keyboard to explain the answer to a math question. In this example, both math knowledge and keyboarding skills are essential to answering the question correctly. 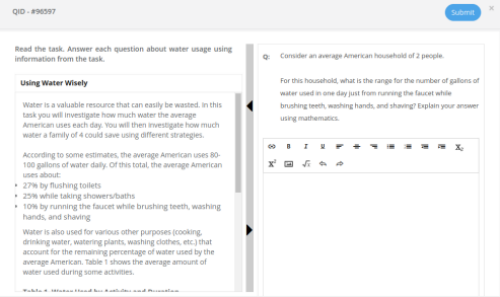 You can use Edulastic’s Essay question type to practice both short answer or essay responses in class or as outside assignments. Open response question types will also enable students to practice attention to detail when using the keyboard to submit responses. Aside from getting that extra keyboard practice in, typed answers guarantee that student writing will be clearly legible! Understanding and analyzing nonfiction or informational texts have a much more significant place on these assessments than has traditionally been taught. Both PARCC and SBAC have placed an emphasis on students learning via informational texts; on SBAC it makes up between 45%-55% of the reading based questions depending on the grade level. Practice answering questions about nonfiction or informational text passages is crucial to adequately preparing students for the SBAC assessment. Edulastic’s Passage Based tech-enhanced questions will give the students exposure to these types of questions and get them used to reading and comprehending online. From there, students can adjust to scrolling through text, locating portions of the text, and responding to passage-based questions online. As tech-savvy as we know they are, in a testing situation a mechanical hiccup could have pretty serious effects on the student and his/her scores. Whether you are using iPads or computers, students should be familiar with the device they will be tested on. More specifically they need to know how to use the device for academic purposes – watching YouTube on the iPad isn’t the same as being tested on one. In addition, students should know some basic troubleshooting techniques, such as how to open the browser if it closes. Give students practice assessments on the device they will use for the official exam. In fact, try taking a handful of Edulastic’s SBAC-style practice assessments ahead of time on the device and, if possible, in the room they will use on official testing days. 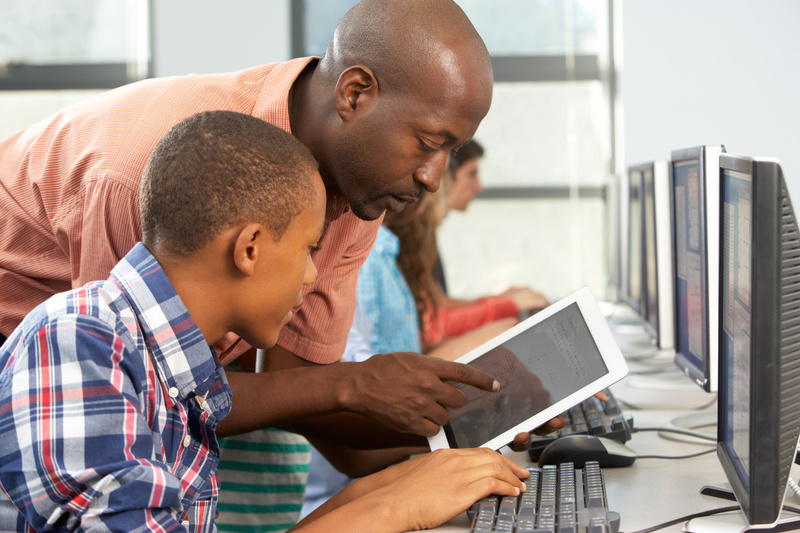 Considering there are several sections on the SBAC that can last an hour or more, students need to be ready to sit at the computer or device for the duration. Exposure to working in front of a computer for a lengthy period of time can help them build up the stamina needed complete the tests. A few practice sessions and strategic bathroom and snack solutions can be essential tools to getting through the session. Here are just a few SBAC-style assessment tests from our library that you can use to build stamina. For the complete list of practice tests, enter the term SBAC in the search box in the Assessment Library and filter for your grade or subject. In addition, you might consider looking at some of the PARCC practice tests in the library. While they are not identical, they will give a student taking the SBAC a realistic practice experience. Ready to practice? 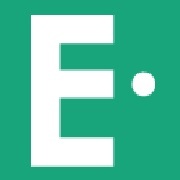 Log into Edulastic and start assigning SBAC-style practice assessments to your students! Search for more SBAC assessments in the Edulastic Assessment Library!